"Is Your Identity and Access Governance Program Vulnerable to Risk?" 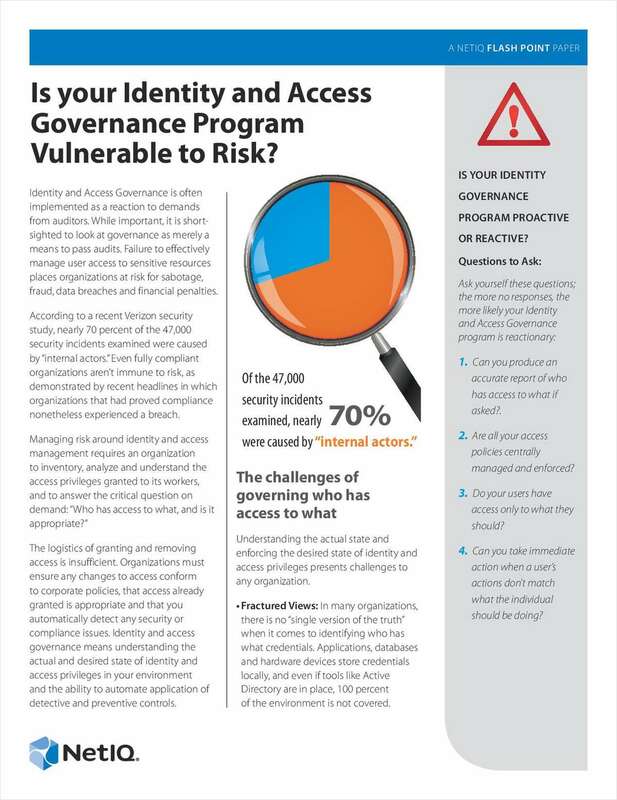 Free White Paper: "Is Your Identity and Access Governance Program Vulnerable to Risk?" Secure your business with comprehensive identity and access governance.